Karaoke for Kids! Why? 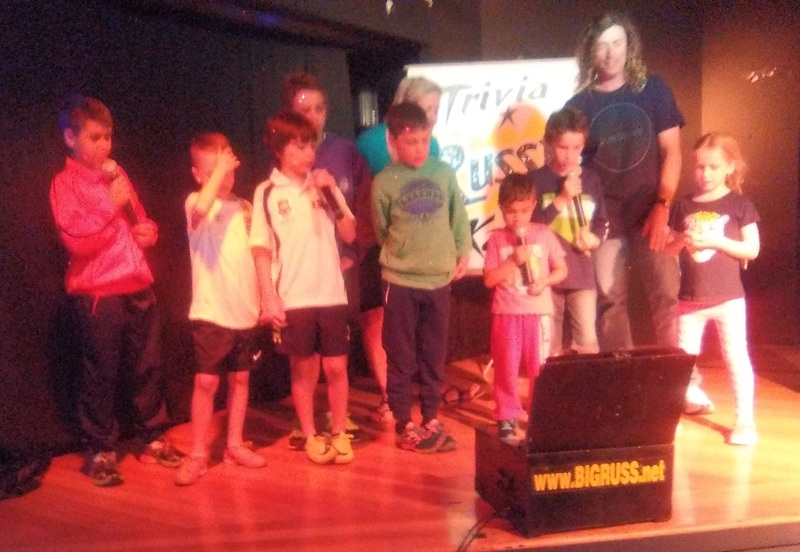 Because karaoke is an awesome activity for people of all ages— including kids! Baby Karaoke is specifically aimed at babies and toddlers with direct parental involvement of course! Pre-schoolers as well as primary and secondary schoolers, home-schooled and even unschooled kids will benefit from and enjoy karaoke. Karaoke for kids is a definite FUN activity that the whole family can enjoy!! Of course; chances are some kids may prefer that you don’t join in at all! And that’s fair enough too! Find a Karaoke has plenty of information specifically about karaoke for children, family karaoke and kid’s themed karaoke parties including fabulous ideas and tips on anything and everything to do with karaoke for children. Rest assured that if you need information about the best kids karaoke machines, latest kids karaoke online websites or perhaps choosing the best kids karaoke songs for an upcoming karaoke party; it’s easy to find what you are looking for right here. We have plenty of interesting articles here under the kids karaoke tab. Karaoke for Kids Party at Home! A karaoke party is not only great fun and very easy to organise but it’s also mega-cheap as far as children’s parties go! Check out our karaoke party ideas for every age group including themes, song lists, how-to-guides and more. What about a 'The Voice Kids Karaoke' party theme? You really can’t beat the fabulous ease of instant karaoke online. It’s simple, lots of fun and always there, so long as you have wifi! How about hiring a karaoke kid’s party host? Fairies, Pirates or Disney Movie Karaoke— Frozen, Dora the Explorer, Nursery Rhymes & More. And of course: Music Divas, Rock Bands & plenty of Funky Old Soul for the older kids and parents that want to S.I.N.G. Take a look at the fabulous baby karaoke app especially for babies and toddlers (parents also) featuring famous nursery rhyme songs and is taking the world by storm! There are plenty of family friendly karaoke venues in and around town. Look for family venues like sporting clubs and family restaurants as well as Sunday afternoon karaoke sessions as these often cater for kids as well as adults. Be sure to give the venue a call and ask if kids are allowed to sing and until what time children (with parents /a responsible adult) are permitted in the venue.